Sure, we're known for that. But we're also known for some bighearted stuff, too. Stuff that sometimes involves burgers. That's right. Full circle. Red Robin Gourmet Burgers is a chain of casual dining restaurants founded in 1969 in Seattle, Washington, and now headquartered in Greenwood Village, Colorado. 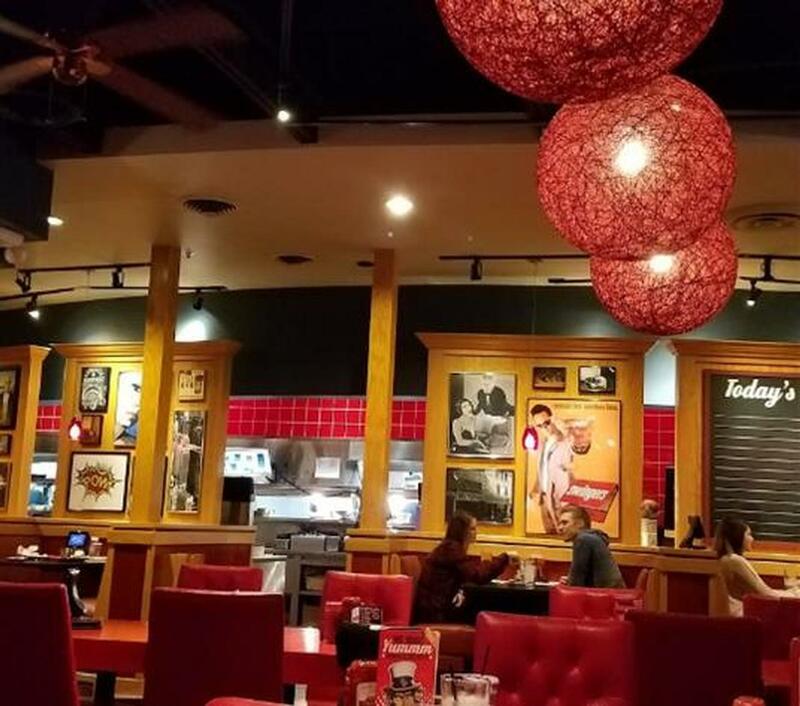 All Red Robin restaurants are run under the principle of four cornerstones: People, Smiling Burgers, Core Values, and the Gift of Time. Red Robin is best known for our amazing Gourmet Burgers, endless fries, refreshing "reward yourself" fountain drinks and a full bar with craft beer variety taps. We are also known for being adjacent ot Apple Valley's 15 theaters, we are the meeting place for family, friends and groups of friends wanting a perfect place for fun and laughter.